PRESS RELEASE: In this summer, 15 young people will learn mindfulness and how to live without violence. Yesterday, on August 14, the second Buddhist summer camp organized by the Estonian Theravada Sangha (ETS) started at Aegna WDS Meditation Center. The camp is attended 15 young people aged 14 to 18 and supervised by the Estonian Buddhist monk and the Head of the Estonian Theravada Sangha, Venerable Ṭhitañāṇo (Andrus Kahn). Venerable Ṭhitañāṇo who worked before as a therapist and a counselor, and is currently working as a lecturer in Mahachulalongkornrajavidyalaya University of Thailand, says, that in the camp, young people will study what is living without violence, by the rule of law of action and result/effect, and how responsibility and the development of concentration and awareness can help improve learning and overall coping. "Young people learn to recognize their thoughts and feelings in order to create better balance with themselves and with others," Venerable Ṭhitañāṇo said. "The camp develops communication skills, concentration, stress and self-management skills."  ETS was established in last year with the aim of opening an international meditation center and a temple in Estonia, as well as a kindergarten and an institution providing primary and higher education, as well as a retirement home, following the Buddhist principle of non-violence. This is already a second camp on this summer. Feedback and overview of the first camp in July is available here (in Estonian): http://samadhi.ee/tegevused/noorte-laager/tagasiside.